I want to design a product that will sell in large quantity. How do I ensure that the design is inexpensive from manufacturing perspective? I mean for mass production, the cost is not so high. One point is finding a second source for all components. Not only for price negotiations, but also to make sure you don't have to throw away PCBs if one of your components isn't sold anymore, or get into problems if there are unforeseen delivery/supply problems. So that you hava thought about the cost problem when designing. 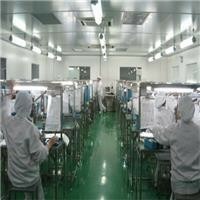 You can think from the third broad aspects, which are prototyping, manufacture and shipping. You can think about reducing manufacturing costs from the following aspects: 1.Build in high volume. 2.Negotiate your component costs. 3.Reduce process steps.